Landmark book Sickness and Wealth is back in print! Over ten years ago, health advocates at both HAI and the University of Washington were becoming increasingly concerned with the rise of neoliberal-style globalization and its likely effects on health, particularly in resource-poor countries. Noting the surprising lack of accessible written materials on that topic, they began to edit a book that included both an historical context for the globalization-health relationship and a look at the challenges faced by health activists in a range of countries. The book was seen as a useful tool to support HAI’s other advocacy efforts to promote progressive health policies around the world. 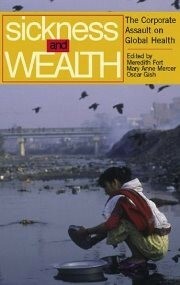 The result was Sickness and Wealth: The Corporate Assault on Global Health, published in 2004 by South End Press and edited by Meredith Fort, Mary Anne Mercer, and Oscar Gish. 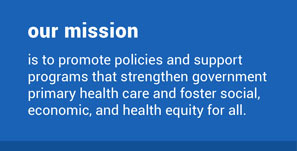 Its four sections include a brief history of health and development strategies; a description of the expansion of the neoliberal model; examples of how economic globalization affects health in a range of settings; and illustrations of various efforts to resist and overturn harmful policies. Contributing authors include activists and academics from Latin America, Asia, Africa and the US. Although the original publisher, South End Press, sadly closed in 2014, we are extremely fortunate that Hesperian Health Guides, a long-standing ally of HAI in efforts to improve health around the world, has recently republished the book. Sickness and Wealth is now available from Hesperian. Please pass on the information to any interested parties. Major thanks go to Hesperian for this assistance in carrying on our work!